The Cranberries singer’s death found to be due to intoxication from alcohol. 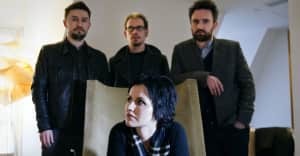 Dolores O’Riordan, the lead singer of The Cranberries, died after a night of drinking led to her drowning in her bath, an inquest has found. The inquest was held at a west London coroner's court on Thursday, September 6. The Guardian reports that Dr Adam Combe's inquest revealed how O'Riordan was heavily intoxicated before she was found dead in her London hotel room on January 15. She was reportedly found submerged, face up in the bath by a maid. She was declared dead shortly after paramedics arrived at the scene. In addition to alcohol, O'Riordan used prescription drugs, including lorazepam, prior to her death. The report stated that five empty miniatures from the mini bar, accessed at 2.10am, had been drunk alongside a 35cl bottle of champagne.